It may well be pricey, but there's little doubt that the Google Pixelbook is one of the very best Chromebooks out there – gorgeous looks, appealing specs, and of course the option to flip it over and use it as a tablet when you're tired of the whole laptop form factor. Now there are whispers that Google is preparing a follow-up for later this year, a Pixelbook 2 that's going to upgrade the laptop in most areas. It might well launch at the same time as the Pixel 3 phones from Google, and here's everything we know about the device so far. At the moment all the signs point to Google holding a massive hardware launch before the end of the year, maybe around October or November time. As well as new smartphones, and maybe a smartwatch, Google is also being tipped to unveil a brand new Pixelbook – so it would be about the one-year anniversary of the first Pixelbook. That's according to well-known tipster Evan Blass, who has a very solid track record when it comes to getting the scoop on upcoming hardware from the big tech firms, whether that's smartphones or laptops. It's not official or definite yet, but it's close. As for the price, Google set the bar high with the £999/$999 asking price of the original Pixelbook, and we wouldn't expect it to change tack now. You can expect the Pixelbook 2 to start at the same sort of price level, with faster configurations costing you more. 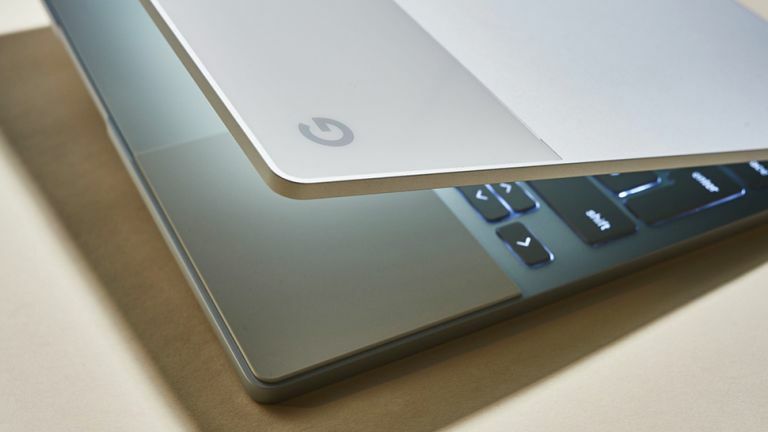 The design was one of the stand-out features of the 2017 Pixelbook, all rubberised palm rests and subtle grey and white hints. Whether you've used a Pixelbook or just seen pictures of it, there's no doubt it's a fine-looking laptop – comfortably one of the most eye-catching Chromebooks around. We know (or think we know) that the new Pixelbook 2 is going to have slimmer bezels, which is one improvement that's definitely needed as far as the design goes. There have also been murmurings that the screen is going to get a 4K upgrade to a 3840 x 2160 pixel resolution, which means the aspect ratio would change to widescreen too. Don't expect too many other changes from the revamped Pixelbook, because the original stylings fit in very nicely with the design aesthetic of the other Pixel devices out there. We might see some improvements in terms of thickness and weight, but the original Chrome OS laptop is already very svelte and light. The specs of the current Pixelbook might seem like overkill for a Chromebook, but remember the device runs Android apps as well. The available configurations give you a 7th-generation Intel Core i5 or i7 processor, 8GB or 16GB of RAM, and up to 512GB of internal storage. Those specs are still more than capable of running Chrome OS and Android, so there's no real reason for Google to boost the specs by any significant amount. What we might see is the new Pixelbook 2 switching to 8th-generation Intel processors, a switch just made by the Apple MacBook Pros as well. There aren't really any other specs to upgrade, so most of the changes might well be on the screen and design side (see above). The specs in the original Pixelbook are still so good that Google might well keep it on sale even after the new model has arrived. The way you can use the Pixelbook as a folded-over tablet is one of its most distinctive features, and it seems likely that Google is going to carry on down this road with the Pixelbook 2. Likewise, the Pixelbook Pen is no doubt going to stick around, not least because you can use it to do some cool stuff with Google Assistant. Google Assistant will still no doubt be on board alongside Chrome OS and support for Android apps – expect the Chrome OS and Android integration to continue to get better and better over time, with support for a greater number of apps as well as apps that make better use of the bigger display. All in all we're excited to see what Google has got planned for the Pixelbook 2, which should keep everything that made the Pixelbook great and add some smart refinements on top. Before the end of the year, it should be available to buy.